ARLINGTON, Va. – June 7, 2017 – Surescripts released its 2016 National Progress Report, revealing that actionable patient intelligence is taking hold across American healthcare, with more than 10.9 billion secure transactions (12 percent more than in 2015), including 1.6 billion electronic prescriptions, or 180,000 every hour. In 2016, Surescripts’ interoperable network connected 1.3 million healthcare professionals—21.5 percent more than in 2015—with secure patient data for 230 million Americans, or 71 percent of the population, to enable better decisions and deliver better health outcomes. Surescripts continued to extend its network to facilitate the prescription decision-making process, to help providers optimize patient adherence to medication, and to arm providers with patient insights to support transitions of care. In 2016, more than 1.08 billion medication history transactions containing critical patient data were made available to providers at the point of care. Additionally, Surescripts delivered more than 2.2 million documents summarizing where patients received care, including information from more than 43 million patient visits to more than 165,000 clinicians. As the utilization of e-prescribing continued to grow in 2016, Surescripts also continued to enhance patient safety with an ultimate goal of reducing e-prescribing errors to zero. Achieving this goal will prevent potential patient harm, save prescribers and pharmacists hundreds of millions of dollars in lost time and productivity, and help providers focus on patient care versus tedious administrative tasks. The report also indicates that the adoption of Electronic Prescribing of Controlled Substances (EPCS) is gaining momentum among prescribers and pharmacies in their fight against the nation’s opioid abuse epidemic. Overall, there were 45.34 million prescriptions for controlled substances delivered electronically in 2016—a 256 percent increase over the year before (12.81 million). Four new states (North Dakota, South Dakota, Minnesota and North Carolina) entered the top ten for EPCS enablement among prescribers and pharmacies. And in New York, where an e-prescribing mandate took effect last April, prescriber enablement grew 45.5 percent, resulting in a 54.2 percent jump in the number of controlled substances prescribed electronically. 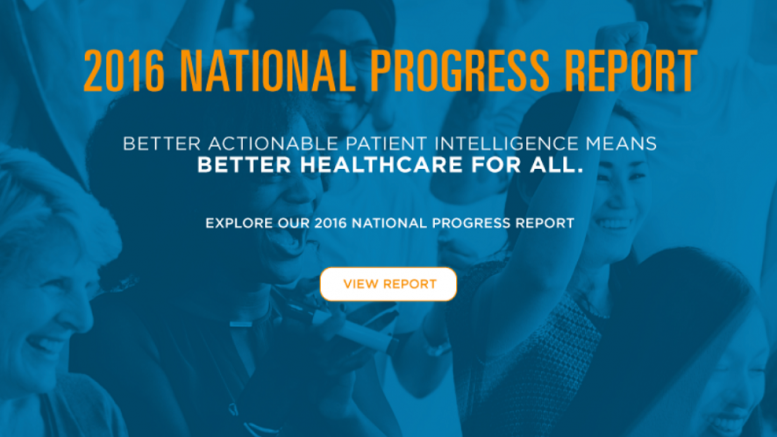 To view the 2016 National Progress Report (#HITprogress), please visit www.surescripts.com/report.